Near the heart of Arkansas, in Jefferson county, there is the town of Pine Bluff. Deep in the recesses of the 20,000 people who lived there, was a special family of five, who lived on a farm with no electricity and no running water. In those early days, the only form of entertainment that was available was in the form of a radio. Many hours were spent sitting close to that old battery operated radio while listening to the various programs that rode the airwaves. But it was one particular program that was very special among these five children. 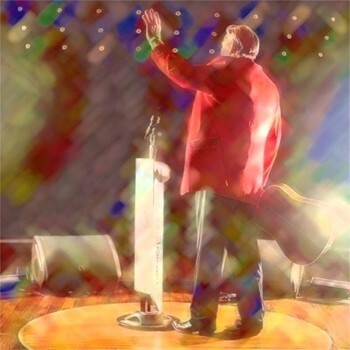 Each and every Saturday night, the children would gather around that old radio with smiles as they welcomed George D. Hay and his boisterous voice as he would say “Welcome to the Grand Ole Opry!” More often than one could count, the children would stand up and try to emulate the entertainers who would perform on the ever popular radio show. Like many other children, the boy dreamed of some day performing on that infamous stage that he heard about each Saturday night. Little did he know, that his dream would come true. In 1963, Roy Acuff welcomed Jim Ed and his sisters Bonnie and Maxine to the Grand Ole Opry as active members. The road to the Opry was not all glory as some would think. Learning from what they heard on the Opry, Jim Ed and his older sister, Bonnie, would soon learn how to harmonize together. While still in high school, the two would often appear on the local radio station. Times were tough back in the 1940’s and 1950’s. Seeking a career in the music industry was not commendable. When he wasn’t performing or attending school, Jim Ed would often work at his father’s sawmill. Seriously considering taking over his father’s business, Jim Ed enrolled as a forestry major at Arkansas A&M. After a year in college, Jim Ed found that music peaked his interest more and off to Arkansas State he went. In 1953, Jim Ed and Maxine took first place at a talent show hosted by a Little Rock radio station. The station welcomed the duo to their weekly radio show called Barnyard Frolic. Thus began their recording career. Many hits would follow until Maxine and Bonnie chose to retire in the mid 1960’s. Both women chose family over a musical career. However, Jim Ed was not ready to throw the towel in on his musical career. For the next two decades, he scored several hits including his solo signature hit “Pop A Top” (1966). Throughout the 1970’s, Jim Ed would continue to perform as a solo artist. He was often found on the Opry stage on Saturday nights. He also co-hosted the syndicated weekly television series Nashville On The Road and later he hosted his own show called The Country Place. In 1976, Jim Ed teamed up with Helen Cornelius to record a string of duet hits. The result included the songs “I Don’t Want To Have To Marry You,” “Saying Hello, Saying I Love You, Saying Goodbye,” and “You Don’t Bring Me Flowers.” By 1981, the duo went their separate ways, however, would often reunite for a song or two on the Opry stage. For the last thirty years, Jim Ed has been very busy. Fans could find him often performing on the Opry. He also hosted a nationally syndicated radio show called “Country Music Greats Radio Show.” The show was heard on more than 200 hundred stations per week. 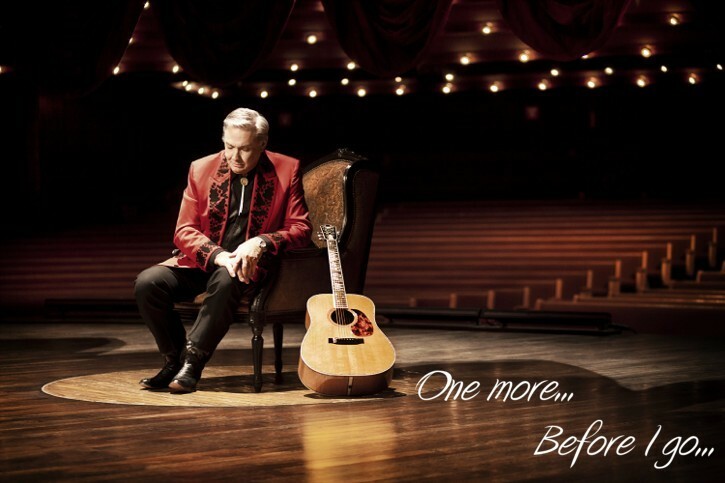 On November 10, 2014, Jim Ed Brown announced that he would celebrate his 51st anniversary as a member of the Grand Ole Opry with a new album. The album, In Style Again, features a wonderful collection of thirteen songs that include special guests Vince Gill, The Whites, Bonnie Brown and a song that reunites Jim Ed with Helen Cornelius. From the first note of the opening song, “When The Sun Says Hello To The Mountain,” all the way to the last note, the listener is taken on a journey of pure bliss. 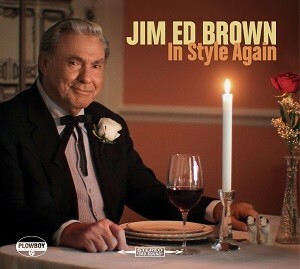 Jim Ed Brown’s vocals have always been smooth and relaxing as he is able to draw from a time of innocence in his unique and classic way. Songs included on this beautiful album are “Tried And True,” “Laura (Do You Love Me),” “I Love It,” “Don’t Let Me Cross Over,” “Watching The World Walking By,” “Lucky Enough,” and “Am I Still Country?” Each are performed with pure professionalism as you can hear the heart and soul that Jim Ed is known to perform with. I gave my all for all I’ve got. I’ve cried tears of joy and tears of rage. I’ve found in a song. The album is truly a masterpiece of pure and natural talent. This is an album that will certainly be enjoyed by many for years to come. Jim Ed Brown is one of the only few to enjoy three successful careers. The first as part of a trio with his sisters Bonnie and Maxine. The second as a solo artist and the third as part of a duo with Helen Cornelius. As successful as he is, there was only one more thing he wished to achieve in his life and that was to be inducted into the Country Music Hall of Fame. Just this past March, it was announced that Jim Ed with sisters Bonnie and Maxine will be inducted into the Country Music Hall of Fame come October 2015. “Fame is fleeting, hit records change every week, award show winners and nominees change every year, but being inducted into the Country Music Hall of Fame will be forever.” stated Mr. Brown. In September 2014, Jim Ed Brown was diagnosed with lung cancer. He under went treatments and was deemed in remission in the early part of 2015. On June 3, 2015, Mr. Brown announced that his cancer had returned. “My phone beeped, and I knew whoever called had left a message. I punched in my code and heard a familiar voice. “Bill, this is Kyle Young down at the Hall of Fame. Would you call me as soon as you get this? I need to speak with you. It’s important.” I immediately got him on the phone. “Did you get my letter last week telling you that Jim Ed Brown and The Browns have requested that you be the one to induct them into the Hall of Fame in October?” he asked. I assured him that I had, and that I considered it an honor and a privilege to have been asked. I was stunned. I looked at the clock. I knew I’d have to shave, shower, get dressed, and drive about 45-minutes to the hospital. I’d be cutting it close, but, yes, I said I could be there. I knew if the situation were reversed, Jim Ed would be there for me. I also knew how much their having been voted membership in the Hall of Fame meant to Jim Ed and to his sisters, Maxine and Bonnie. It had been a long time coming, and they had almost given up hope. I had already been looking forward to seeing the expression on Jim Ed’s face when I put that Medallion around his neck. I just never imagined it would be in June or that he would be in a hospital bed. There weren’t more than fifteen people in the room. Jim Ed’s wife, Becky; his daughter, Kim; Pete Fisher from the Opry, Sarah Trahern, Executive Director of the Country Music Association; Kyle Young and some of his staff from the Hall; Kirt Webster, Jim Ed’s publicist; Lee Willard, my manager; a few close friends, a couple of nurses, and me. Nobody had told J. E. that we were coming, and he was totally shocked when we all walked in. Kyle told him why we were there, and in keeping with tradition, he read aloud a short biography of The Browns. Then he read another bio of Jim Ed, highlighting the fact that he had enjoyed three different careers in his lifetime….as one-third of The Browns, as a duet partner with Helen Cornelius, and as a solo act on his own. Kyle reminded us of hit records like “The Three Bells,” “I Don’t Want To Have To Marry You,” and “Pop-A-Top.” He told of Jim Ed entering a talent contest as a youngster and losing out to a harmonica player. Everybody laughed. Then he turned to me and handed me Jim Ed’s Medallion, the official emblem certifying Hall of Fame membership. I leaned in close and reminded Jim Ed that one Hall of Fame member always inducts another, and how honored I was that he and his sisters had chosen me to do the induction for them. Jim Ed sat up a little straighter in the bed and removed the ball cap that he had been wearing. I said in a halting voice: “Jim Ed, on behalf of the membership of the Country Music Association, it’s my pleasure and privilege to welcome Jim Ed Brown and The Browns to your rightful place in the Country Music Hall Of Fame.” I slipped the ribbon over his head and watched as he proudly lay the Medallion itself on his chest. There was not a dry eye in the room. I don’t know what made me do it, but suddenly I started singing, “Will The Circle Be Unbroken” there at the head of his bed. Everyone in the room joined in, just as we do on Medallion Night at the Hall of Fame each year. Jim Ed was even mouthing the words. It was sad, but somehow it seemed fitting. As the people began to say their goodbyes and drift out of the room, Jim Ed told Kirt Webster he wanted to ask me a question. I walked back to his side. I was taken back by his question. I thought a minute and said, “Well, Jim Ed, if you can’t sing, just send word to me and I’ll loan you my ‘whisper’!” He smiled. I think the thought of seeing his old friend again stirred something special inside Jim Ed. He looked up at me and broke into a grin. Then the grin turned into a chuckle. And then the chuckle turned into a belly laugh. He finally got to laughing so hard that tears were running down his cheeks. He said, ” ‘Tater would do that, wouldn’t he?” I nodded, and he reached for my arm. I squeezed his hand, told him I loved him, and I turned away. I wanted to remember him laughing.” shares Bill Anderson. On June 11, 2015, Jim Ed Brown passed away peacefully. He was 81.